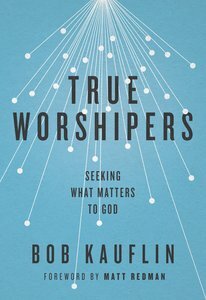 Bob Kauflin traveled with the Christian group Glad for eight years as a songwriter, speaker, and arranger before becoming a pastor with Sovereign Grace Ministries in 1985. He is now the director of worship development for Sovereign Grace, teaching the theology and practice of congregational worship and overseeing its music projects. He is also a pastor in Gaithersburg, Maryland, and blogs at www.worshipmatters.com.